Ice-cream is just the ultimate summer treat; there's nothing quite like a few scoops of your favourite flavour creamy ice-cream on a sunny day! My absolute favourite ice-cream brand is Booja-Booja - not only because they're dairy free and refined sugar free but their ice-cream is the most indulgent, creamy, sweet, luxurious ice-cream I've ever tasted. This is the very first summer that Booja-Booja's exciting new range of organic dairy-free ice-creams will be available and it's also ten years since the company first launched ice-cream as part of its offering - definitely something to celebrate! Booja-Booja's new tubs are made with the simplest of ingredients such as cashews and agave nectar, they look completely beautiful (good packaging always wins me over) and of course they taste out of this world. 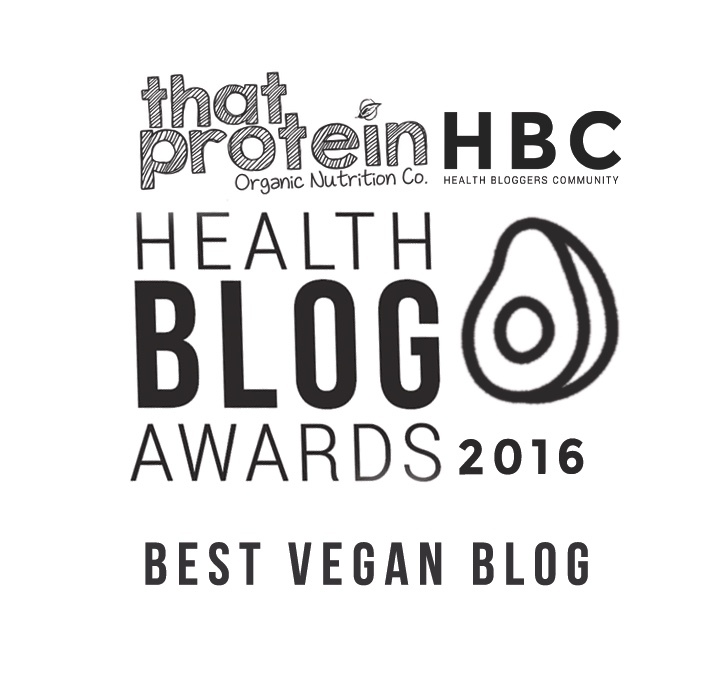 Plus, the ice-cream has won many taste awards including The Great Taste Awards 2016! To celebrate the tubs first summer outing, there's ice-cream parties taking place up and down the country with five deserving winners receiving the ultimate ice-cream party package including enough ice-cream to feed an army, up to £250 to spend on party goodies AND lots more. Exciting right?! 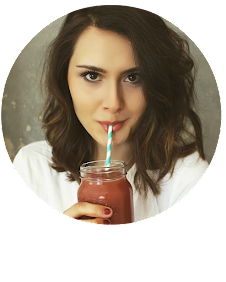 The lucky finalists have been announced and you can vote for who you'd like to win here this delicious and super fun prize here. 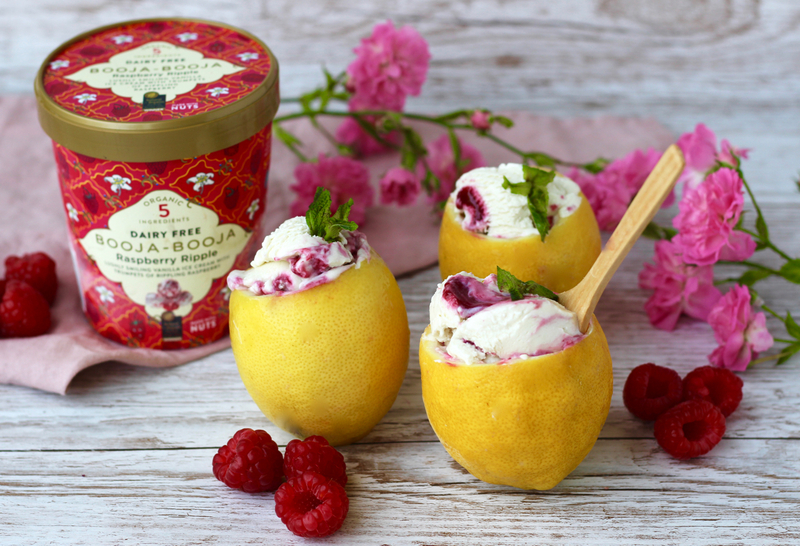 As Booja-Booja is pretty much the love of my life I absolutely had to get involved in this #BoojaParties campaign, so today I'm sharing with you how I would serve Booja-Booja's Raspberry Ripple ice-cream at my Summer ice-cream party! The Raspberry Ripple flavour is my current favourite (although this changes constantly - they're all just too delicious for words). It's an impossibly smooth and creamy vanilla ice cream with sweet, rippling raspberry sauce running through it, and just wait until you read the ingredients. This ice-cream is purely made from water, agave syrup, cashew nuts, freeze dried raspberries and vanilla extract....yes, that's it....although I'm sure there's some sort of magic fairy dust sprinkled in there too. I've always loved the combination of raspberry and lemon, I love the sour mixed with the sweet and I've got a thing for the wonderfully bright, clashing colours. 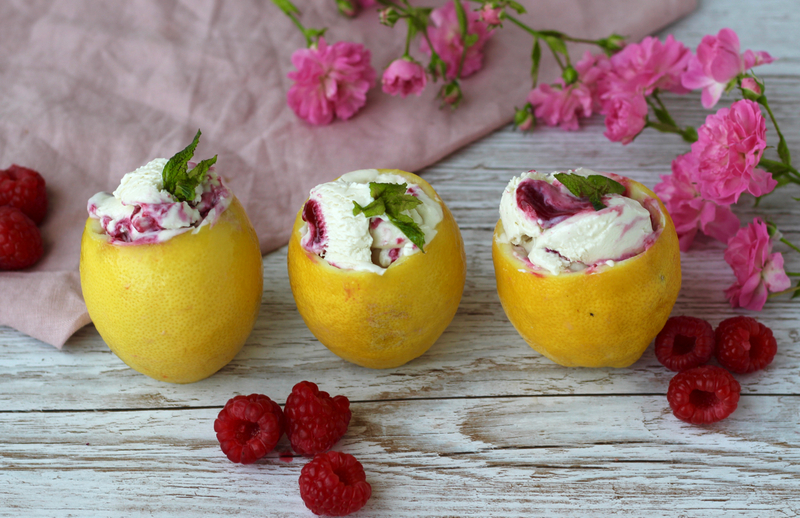 My serving suggestion is hollowed out lemons filled with scoops of raspberry ripple ice-cream! It's super easy to do, looks so pretty, will no doubt impress your party guests and it means there's no washing up after - winner! Try topping with fresh raspberries, mint leaves, a drizzle of chocolate sauce or enjoy simply as it is for the ultimate summer sweet treat. Booja-Booja's organic dairy-free ice-cream is available in Waitrose nationwide, on Ocado and in health food stores across the country.